The trigger for the Milky Way's most recent supernova has likely been identified. G1.9+0.3 is the remains of a star that exploded around the turn of the 20th century in Earth's time frame. This object is a Type Ia supernova, which astronomers use to measure the expansion rate of the Universe. 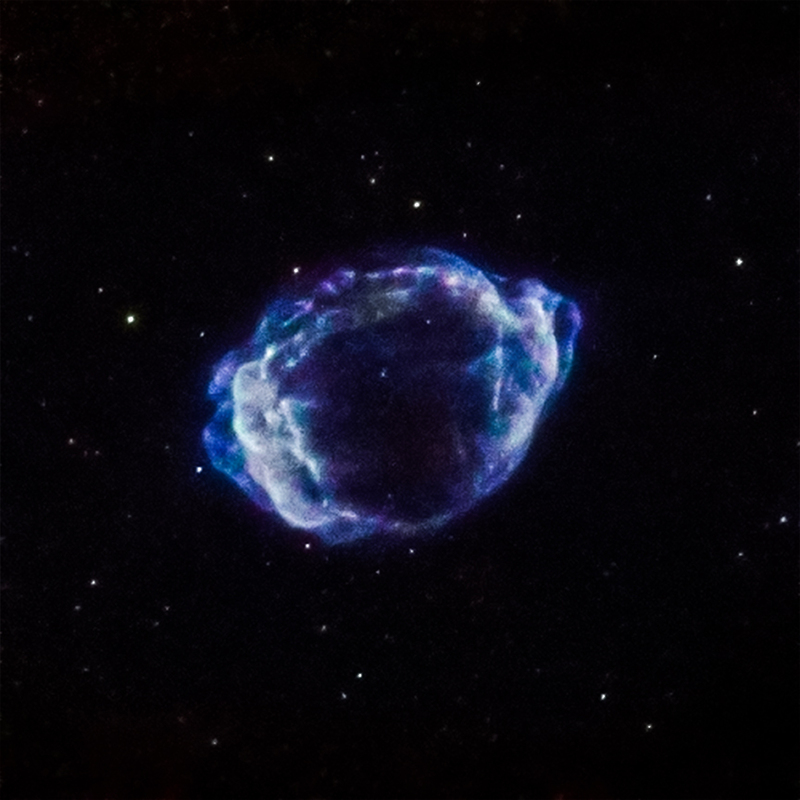 Chandra data were used to study how the supernova's blast wave interacted with surrounding material, providing clues to the explosion's origin. Scientists have used data from NASA's Chandra X-ray Observatory and the NSF's Jansky Very Large Array to determine the likely trigger for the most recent supernova in the Milky Way, as described in our latest press release. A paper describing these results appeared in the March 1st, 2016 issue of The Astrophysical Journal and is available online. The authors on the paper are Sayan Chakraborti, Francesca Childs, and Alicia Soderberg (Harvard). NASA's Marshall Space Flight Center in Huntsville, Alabama, manages the Chandra program for NASA's Science Mission Directorate in Washington. The Smithsonian Astrophysical Observatory in Cambridge, Massachusetts, controls Chandra's science and flight operations. A supernova remnant in the Milky Way located about 27,700 light years from Earth. About 27,700 light years from Earth.